Despite a multitude of professional hurdles, Shirley Jeanne Allen has exemplified perseverance and strength by overcoming everything she faced. One of the first major obstacles she encountered was becoming deaf at just 20 years old because of a fever. At that time, she was majoring in music at Jarvis Christian College in Hawkins, Texas, preparing for the most important recital of her academic career. She performed her senior recital without being able to hear, and then immediately left for Gallaudet University, which provides high education to deaf and hard of hearing students. Dr. Allen earned a Bachelor of Arts from the institution in 1966, and proceeded to obtain a Master of Arts from Howard University in 1972 and an EdD from the University of Rochester in 1992. She was the first deaf black woman to earn a doctoral degree. Although Dr. Allen was proud to be part of the deaf black community, which she believes has one of the most unique cultures in the world, she also struggled with both racial discrimination and communication barriers. She decided she wanted to help represent the needs of other students like her, and turned her experiences into opportunities. Over the years, Dr. Allen was involved in advocacy work at a variety of civic and professional engagements. One of the biggest highlights of her career was going to conferences and meetings. Inspired by her father, stepmother, grandmother, aunts and uncles, who were all educators, Dr. Allen found that the best way to fulfill her mission to her community was through academia. She was an instructor and dorm supervisor at Gallaudet University from 1968 to 1973, and a professor at the Rochester Institute of Technology from 1973 until her retirement in 2001. She also has experience as an editorial clerk for the Internal Revenue Service (IRS) and as a visiting board member of Jarvis Christian College, where she has been since 2000. Her favorite part of her career has been watching her students become successful. Dr. Allen ensured that she remained abreast of developments in her field by maintaining affiliation with the Council of American Instructors of the Deaf, National Black Deaf Advocates, the National Association of the Deaf, and the Houston Black Deaf Advocates. 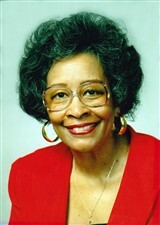 In recognition of her achievements, Dr. Allen was inducted into the Pioneer Hall of Fame at Jarvis Christian College in 1992, appeared on the cover of Jarvisonian Magazine in 2005, and was featured in multiple editions of Who’s Who in American Women.